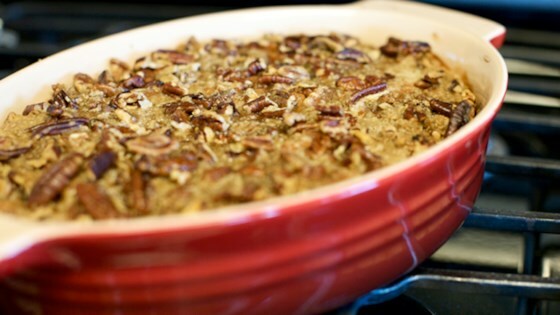 The Allrecipes magazine team, in preparing this recipe, came upon some alterations for this dish leading to a version they preferred, which is shared in the October/November 2014 issue. If you do not have that issue available to you, just triple the measures of the potato mixture ingredients above while leaving the topping measures as they are listed. This was great. Roasting the yams whole in foil for an hour or so depending on the size of your yams gives awesome flavor instead of boiling... The family gobbled this up!!! Made this recipe twice with great results! Used brown sugar instead of white and added 1 tsp each of cinnamon and nutmeg. We like it cold, too!